Age Concern Liverpool Reconnect Service launched its brand new groups programme on 6th February. Liverpool Reconnect groups will meet regularly at a variety of venues across the city, giving people 65+ the opportunity to increase meet new people, increase their independence and confidence, have fun and reconnect with their local community. Helen Pattie Volunteer Organiser says: “We’re delighted to launch our new Social and Interest Groups’ Programme. Our programme is developing all the time as we build up connections across Liverpool. If you have a free venue or would be interested in working with us on a please get in touch. 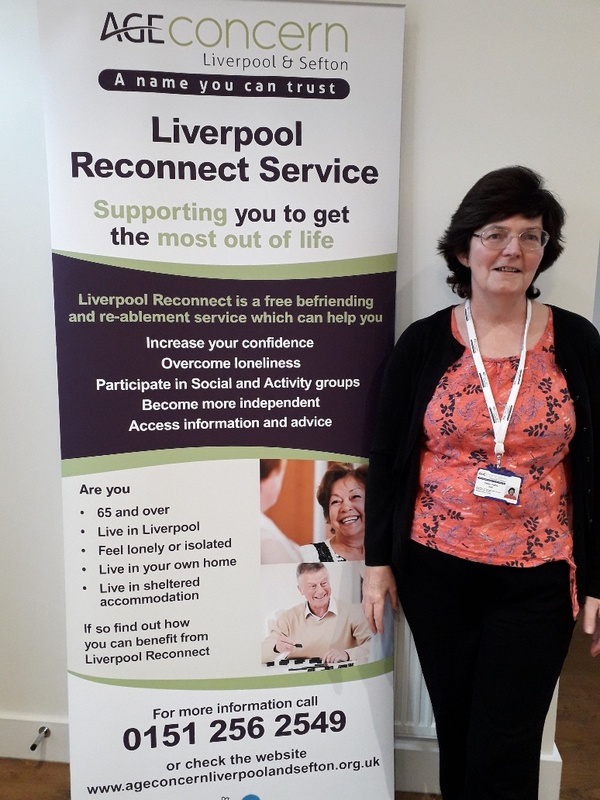 In September 2018 Age Concern Liverpool and Sefton launched a new Befriending and Re-ablement service called Liverpool Reconnect. Residents of Liverpool local authority who are aged 65+ and feel lonely or socially isolated can access the service for free.